Q: Why did I get an extra benefit in January? A: The SNAP benefit that you received on or around January 20, 2019, was your February benefit just issued early. You should have received both your January and February benefit in January. Q: Now that the federal government is open will I be getting an additional February SNAP benefit? A: No, the ‘extra’ benefit you received in January is your only February benefit, you may need to adjust your budget accordingly. Regular issuances should resume in March and will be issued on your regular issuance date. Keep reading for info on getting food if needed! Q: If I did not use my SNAP benefit before January 31st will I lose my benefit? A: No, your balance on you EBT card is available to you as usual. The regular rule is if you do not use your Independence for 180 days your benefits will no longer be available. If you lose your benefits due to inactivity, contact your Local Department of Social Services (DSS) for assistance. Q: I am a federal employee or contractor who was furloughed and applied for benefits. If I received SNAP benefits, will I have to repay that money to the government if and when I get back pay? A: This is not true. If you were eligible for benefits during the time that you were not getting paid you should not be asked to repay that money. You will need to report your income to your Local DSS caseworker when income resumes, in some cases, this may result in losing your benefits going forward. Q: Should I still apply for benefits? What if the government shuts down again? A: If you are in need of money to pay for food you can always apply for SNAP! Applications are still being processed as usual even in the event of another shutdown. Q: My recertification date was during the shutdown and I have not gotten my February benefit, what should I do? A: Recertifications are being processed as usual, if you need to recertify or have not gotten your February benefit, contact your Local DSS as soon as possible. Q: I heard that some stores aren’t accepting Independence Cards because of the shutdown, is this true? A: Not true. All certified EBT vendors should still be accepting benefits. It is possible that a store was in the middle of the vendor renewal process during the shutdown which may have caused them to not accept benefits for a period of time. If a store advertised that you could use EBT benefits and did not accept yours this should be reported to your Local DSS. Q: My question wasn’t answered here or I don’t understand something, who can I call? A: The Maryland Food Bank SNAP outreach team is here to help! Call MFB at 1-888-808-7327, or email snapteam@mdfoodbank.org a SNAP coordinator will be happy to help you! Other resource numbers include the Independence Card # at 1-800-997-2222 or the DHS Customer Care# at 1-800-332-6347. 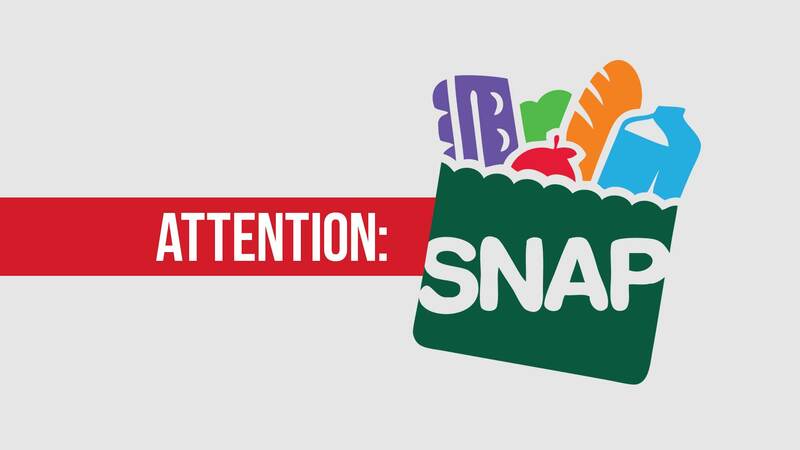 Q: I am having a hard time affording food until I receive my next SNAP benefit. What can I do? A: You can visit the Maryland Food Bank website to find partner organizations near you to get food at: mdfoodbank.org/find-food if you do not have internet access call (410) 737-8282 for assistance.